I’ve been toiling in the field of connected health for 20 years now, watching for signs of adoption that will move us into the steep part of the curve. I have to wonder, with announcements from several huge consumer companies recently, if that time is coming. 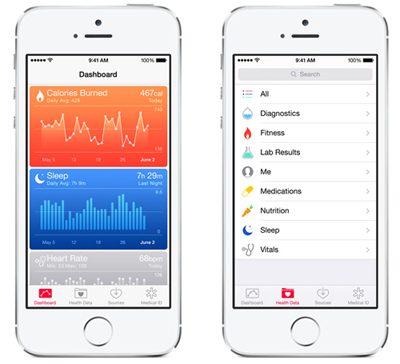 By now you’ve heard about Apple’s HealthKit announcement (my thoughts on this detailed here), which involved not only Apple, but Mayo Clinic and Epic. 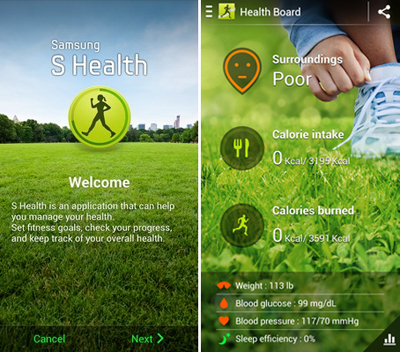 Samsung is not sitting still, having released increasingly sophisticated versions of their S Health app. Rumor has it that Samsung will also be coming out soon with the next version of their Galaxy Smartphone accompanied by a developers’ toolkit for health apps. 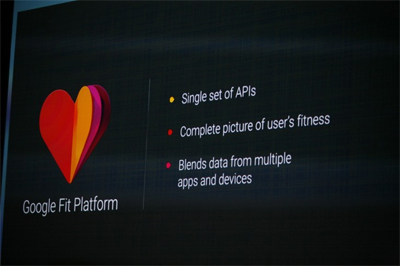 Google will be launching Google Fit. Some of this exuberance (is it rational?) also involves excitement around wearables, and the intersection of mHealth and wearables is an area of particular interest. To wit, Microsoft is rumored to be introducing a smartwatch this fall, amid lots of interest at Google, Apple and Samsung in the role of the smartwatch in mHealth. OK, you get the picture. Any analyst worth her salt has got to be predicting a break-out year for mHealth. The mHealth market is said to have been $1.95B in 2012, growing to $49B by 2020; the wearables market is predicted to be $12B by 2018, of which 60% will be health tracking. We just coined a new term, the Internet of (Healthy) Things to describe this convergence. What’s not to like here? Well, I’m not sure, but there are some reasons to be cautious. Better still, there are some things we must get right as we steward this amazing opportunity to harness a game-changing technology (mobile) and apply it to the laudable goal of improving the health of our citizens. First the words of caution. My friend Nancy used to tell me she hated to be the skunk at the picnic, and those words ring true here. But allow me a couple of comments contrary to all of the enthusiasm. As noted previously, if HealthKit is just another place to store health-related data — moving from a web application to a mobile phone — do we really think consumers are going to jump for joy? Santayana said, “Those who do not learn from history are doomed to repeat it.” Did we learn the lessons from Google’s failed PHR? From Microsoft’s HealthVault? If you build it, they do not necessarily come. For health, it has to be more compelling than that. Although one out of ten U.S. adults over the age of 18 owns an activity tracker, within six months, one-third stops using it. More than 80% of health apps (like Lose It! or MyFitnessPal) that are downloaded are abandoned within two weeks. Also of note, Aetna discontinued CarePass last week, seemingly because their members weren’t enthralled by it. Most app development is based on the adage, “Give the people what they want.” Snapchat, Instagram, Tinder, etc., are all designed to meet a basic human need in a very simple way. The challenge in health care is that, though we know what patients/consumers need to do to improve their health, most of them don’t want to hear about it. That makes building ‘sticky’ health apps and devices much tougher than a messaging or photo sharing app. Today, most health care app development is still confusing education with inspiration. They are not equivalent! I’ve told the story before about how we check our smartphones 150 times per day. But in a blood pressure monitoring study at the Center for Connected Health, we had difficulty getting patients to push one button once a day to participate in a program their doctor enthusiastically recommended for them. Over these 20 years, I’ve seen technologies come and go, trends take hold and others fade away. We are learning a great deal about how to empower patients to self-manage their health, and what to do with all of this patient-generated data. The common denominator, the one critical element we must get right, is how to ‘sell’ health to consumers and keep them coming back for more. I say it’s got to be personal, motivational and ubiquitous. What do you say? The plethora of apps et al is overwhelming and to think that there will be many utilized long term by patients or providers appears to be wishful thinking. That said, I love my Fitbit, at least the portion that after initial entry reads itself when I near my computer and sends me a weekly report. Think I put in all of that continuing diet stuff? You have to be kidding! My thought is that we will come to chipping humans just like we do our pets because it’s going to be inexpensive and require no continuing effort beyond battery replacement and even that problem will probably be solved in the not too distant future from what I see on the net. Will it find instant acceptance? No way! However, over time the motivators are there on all sides of the equation, especially $$$ and labor. In terms of what will sell health to consumers, I’d add relevant. I think when we try and connect what the healthcare systems knows users should do and what consumers want to or don’t want to do, the bridge is finding meaningful (small) problems to solve and solving those in a way that can scale. PHR’s have failed to date because they simply didn’t provide much value. They didn’t do enough in terms of addressing any of the needs I actually have to engage me for sustained use. Some of this is poor design and implementation but a large part of this is a technology before problem mindset. I think if any of the platforms mentioned (or better collectively) move the discussion from being about technology and instead give people more freedom to solving problems, because said technology allows integration across people, places and things, then I hope we see the coming out party. Doctors need to be more aware of patient-generated data, for sure. I’m worried about the long term implications of financial incentives, though I think a premium discount in exchange for sharing connected health data is possible. I violently agree Joe. We’re trying to change behavior and without the right triggers and motivation it’s not sustainable. Great article, market timing is always so difficult. the sensor technology is following closely direction of heath care technology which is “hands on” the key board rather than the patient. The patient is the focal point. Although valuable information can be obtained from wearables, it is still unknown how the wearer actually feels. When this is added, I think behavior will change. I agree completely that people know what they need to do, but don’t want to hear it whether it be friend, family, health provider, etc. Most health data is contextually unimportant to people. I think like any relationship, people need to feel connected and receive positive feedback. This is also a relationship and no different. If the app or wearable can make someone feel like all the social media noise does (important, liked, smart, attractive), then maybe you finally have their attention. I believe we need to give meaning to health for people to feel motivated to engage these apps on a daily basis. Each app produces data that tells a story within the context of the app. We need a platform to tell the story of health as a whole. It’s integrating a variety of aspects (apps) of life and presenting them in a way for which people can better understand themselves and also how they fit into society. Truly understanding this dynamic would encourage people to proactively better themselves, rather than reactively try and get better. Also, for any of this to be truly successful it can’t shy away from some of the more sensitive subjects life presents. True health is a synchronistic balance of mind, body and spirit but so often these exist in silos. Lets break down the barriers and truly connect health. You’ve laid out the challenge nicely! Very articulate. lets see if innovators can rise to meet the challenge. One centralized dashboard that pulls data from all of a users disparate devices/apps and aggregates the data into a simple, easy to read format…ChorusM2M can provide! I would add that we need to focus on making it easy to connect with health – so that it doesn’t require as much motivation (which will wax and wane as part of the human condition). Borrowing from BJ Fogg’s behavior model – behavior happens when three things converge – motivation, ability and a trigger. Especially for non-digital natives, much of tech still lacks the simplicity and ease that we hope for. So we have the smartphone or wearable as a trigger, but are more heavily weighting motivation than ability/ease. As the digital tools become better (and eventually just work but get out of the way), this will flip. I also agree with Diane (above) that there need to be clear emotional rewards – which IMO will be more powerful than financial incentives. How much are you paid to check Facebook or Twitter? Maybe this was the missing piece for the BP monitoring story. Well stated on all accounts! It will be a whole lot easier when we and all the objects around us are chipped – then we will not need to push anything – it will just happen! Truly great piece Joe.